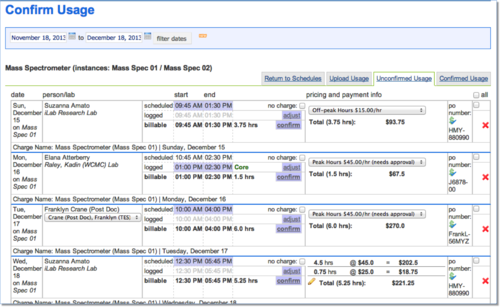 iLab Resource Scheduling tool provides an intuitive click-and-drag interface for creating reservations. The robust platform can also be configured to manage complex usage rules, depending on various workflow requirements. iLab provides a software that can track the usage on a piece of equipment. This software is installed on a local computer that is connected to the equipment and tracks usage in real-time. Through iLab, cores can monitor real-time usage and compare against scheduled time through a kiosk-style computer interface. 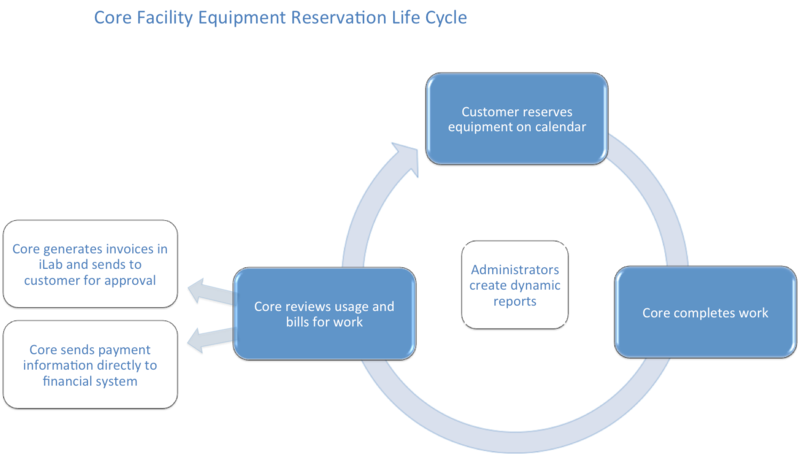 With this feature, reservations will automatically reflect the scheduled and actual usage allowing for a more efficient confirmation and billing process. iLab Instrument Access Management module allows scheduling-based facilities to manage access of shared equipment through use of a micro-controller. This micro-controller acts as a bridge between iLab and the internal networks on campus, allowing facilities to control access to instruments that are both on an external network or connected locally. – Click to learn more.